Living in snow country where we have a ski resort, My kids love to ski and snowboard once the snow starts flying… This Snowboarders Slouchy Hat is the perfect hat for them to be seen on the slopes!! Easy to make,, super quick to work up,, and best of all its a free crochet pattern!! This awesome slouchy hat is made of 3 simple crochet stitches to create a slightly bee hive effect!! This is one of my all time favorite designs and a great stocking stuffer for anyone that wants to stay warm!! Sew short ends together to form brim. Using yarn needle weave in and out of each st and draw tight. Finish off and weave in ends. Using J hook, join yarn at bottom edge of brim with sl st, ch 1, sc 65 sts evenly around. 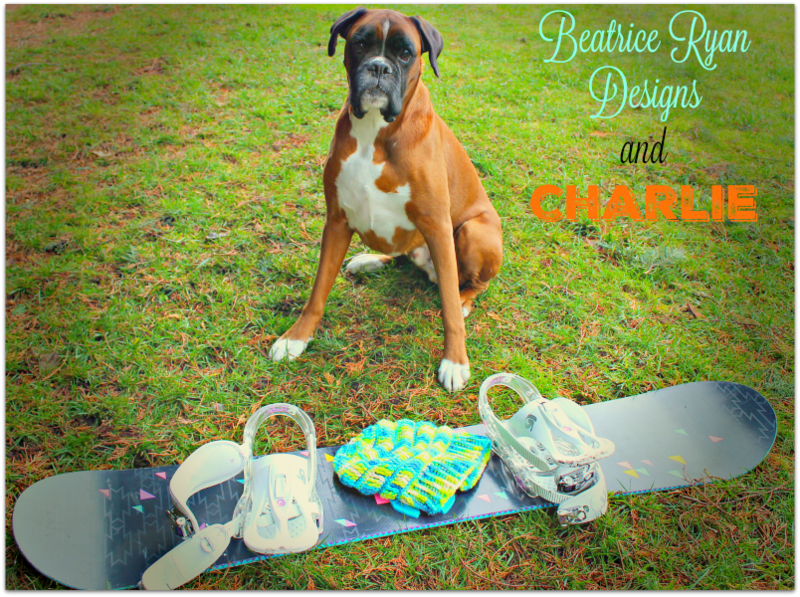 Make sure to share your finished project on my Facebook Page!! 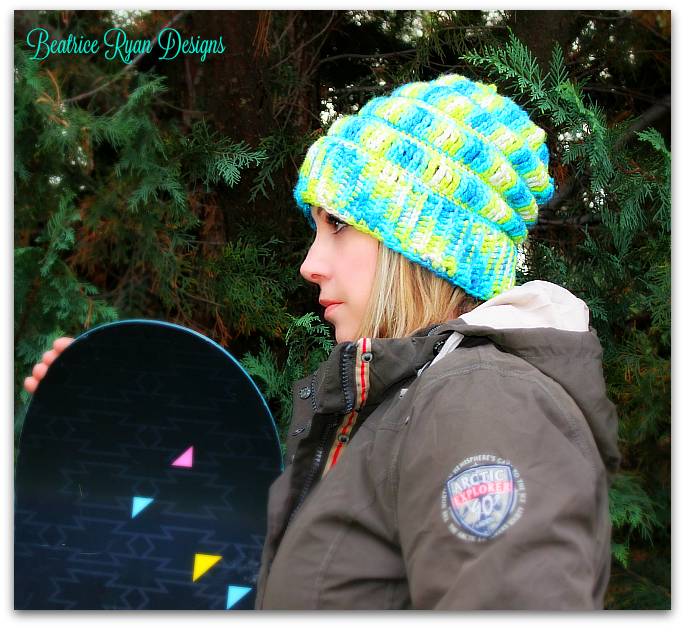 Happy National Hat Day… Free Crochet Hat Patterns from Beatrice Ryan Designs! Really love the ridges in this one! I made this and it is a very clever design. It’s easy to do, because just changing the hook size creates the wonderful pattern, and the decreases are done by skipping stitches. Unfortunately, mine looks like a rasta hat. Hoping with some washing it might actually ‘slouch’ but I think if I made it again, I’d hoose a smaller hook, a different, less stiff yarn, and maybe leave out one of the rows of tripple crochet.